Interlaced video is a technique for doubling the perceived frame rate of video display without consuming extra bandwidth. Given a fixed bandwidth and high refresh rate, interlaced video can also provide a higher spatial resolution than progressive scan. For instance, 1920x1080 pixel resolution interlaced HDTV with a 60 Hz field rate has a similar bandwidth to 1280x720 pixel progressive scan HDTV with a 60 Hz frame rate, but achieves approximately twice the spatial resolution for low-motion scenes. What is deinterlacing and why deinterlace? Interlaced video can be displayed directly on ALiS plasma panels and the old CRTs, but modern computer video displays and TV sets are mostly based on LCD technology, which mostly use progressive scanning. Therefore, to display interlace video on a progressive scan, you will need to deinterlace video. Deinterlace video with Handbrake: In the middle interface of Handbrake, switch to the "Filters" tab besides "Picture" tab, under "filters" tab panel, click "Deinterlace" and from the drop-down list, select the way to want to deinterlace: Custome, Fast, Slow, Slower, Bob. This way is the fastest and simplest way to deinterlace video with handbrake, but you will sacrifice the video quality. 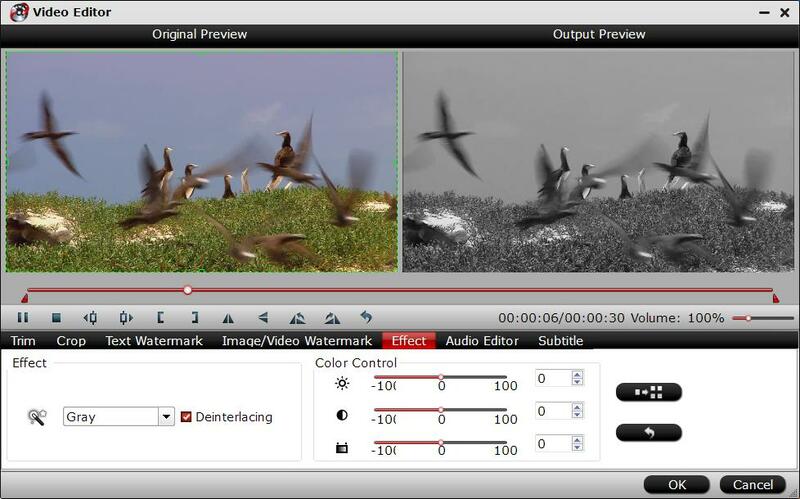 Deinterlace video with Handbrake Decomb: The decomb filter is also under "Filters" panel, it only handles visibly interlaced videos, so you don't need to check if the video is interlaced or not. "It won't destroy the detail in progressive sources the way Deinterlace will, and should be faster than 'Slow' or 'Slower', according to Handbrake wiki. Although Handbrake offers us a pretty simple and free way to deinterlace video, however, people still complain that the there are problems during or after the deinterlacing process: such as noticeable slow down, jerkiness in some panning, speed are extremely slow, deinterlaced video quality is messing up and other problems. 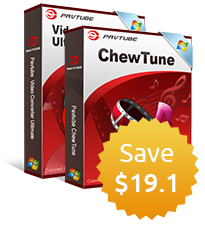 To overcome the above mentioned problems, it is idea for you to find a professional video deinteralce program, Pavtube Video Converter Ultimate, a simple to use application that can help you to deinterlace your imported interlaced video with superfast speed and no quality loss. It supports to deinterlace all common SD, HD and even 4K videos to all you desired format. It is an idea Handbrake video deinterlacing alternative. 1. Install and launch the program on your computer. 2. Import the video files you decide to deinterlace to the program. 3. Open "Video Eidtor" window, go to "Effect" bar, check "Deinterlace" and you will be able to deinterlace your interlaced videos successfully.